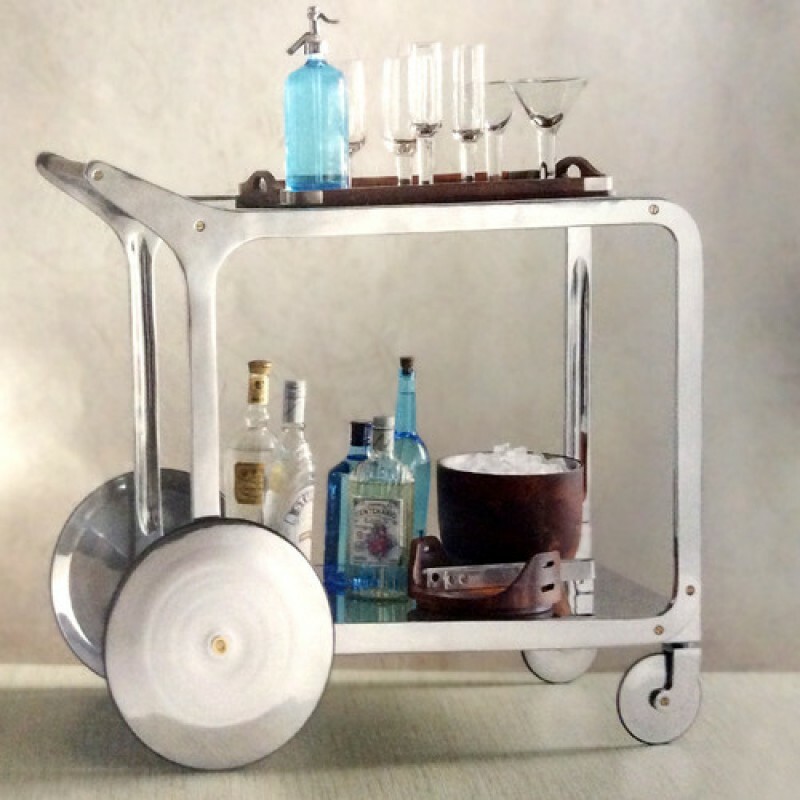 Cirque Bar Cart (P/N F109). Two tiers provide space to pour and store libations, while clean metal disk wheels allow for a movable party. Ships flat, minor assembly required. Limited availability. A swanky service with more than a splash of style, our Cirque bar cart is made entirely of recycled cast and sheet aluminum with the exception of its handsome wood handle and brass accents.